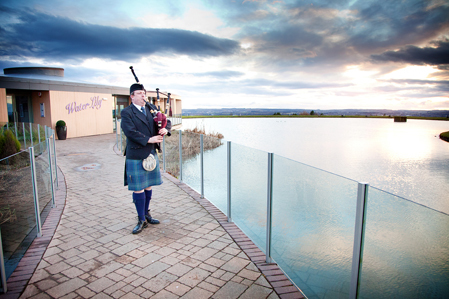 My latest wedding piper travels took me to, “The Vu” in Bathgate. I have piped here before and have always been impressed with the panoramic scenery on display. Alan Snelling provided me with some great pictures he took on the day. He makes you look like a bit of a film star with his eye popping shots!